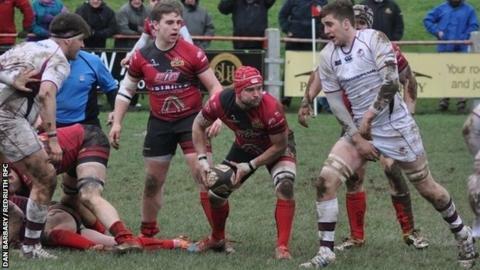 Redruth boss Steve Larkins says the club's strength at home is part of the reason why their away form is so poor. The Reds have won nine of their 11 home games, including Saturday's 22-17 win over Worthing, but have claimed just one win and one draw away from The Rec. "If you've got a good home crowd and a good home pitch then probably your away performances will be pretty shocking and that's what it's been," he said. "When we go to some places which are not as good it's difficult." The Reds have the highest average attendance in National Two South at just under 800, almost 150 ahead of nearest rivals Launceston and well ahead of Worthing, who at 550 have the third-best average gate.